Azerbaijan. Stars & stripes. 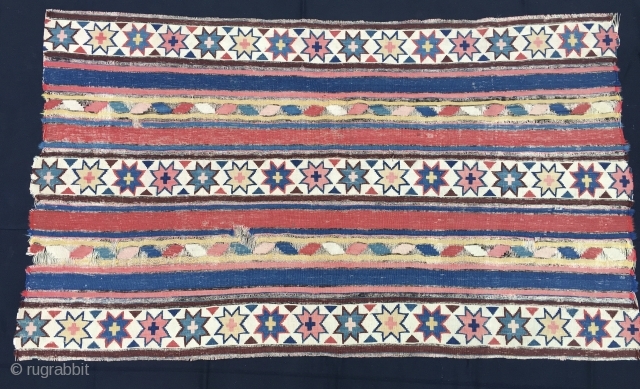 Shirwan kilim fragment. Cm 100x170 ca. Second half 19th century. Big & beautiful. Black stripes completely oxidized.